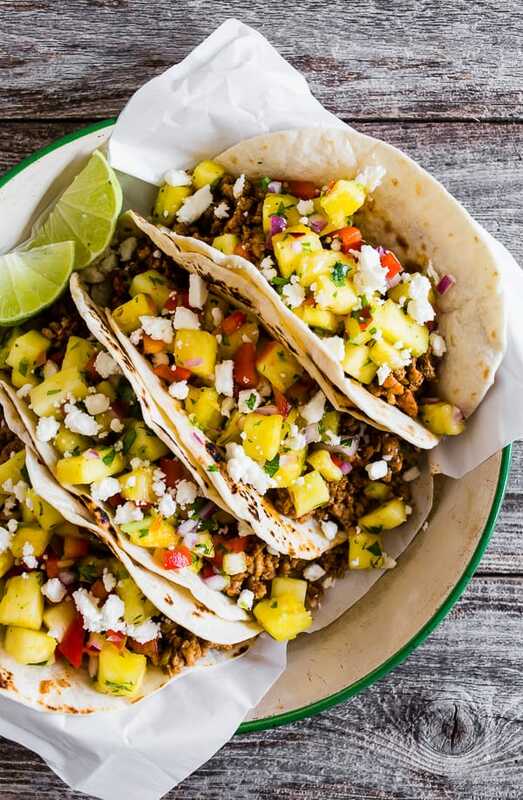 These ground pork tacos with pineapple salsa are the perfect mix of spicy and sweet. 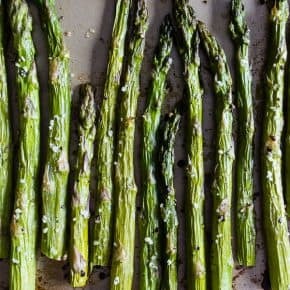 They’re perfect for a quick weeknight dinner or an easy weekend meal. 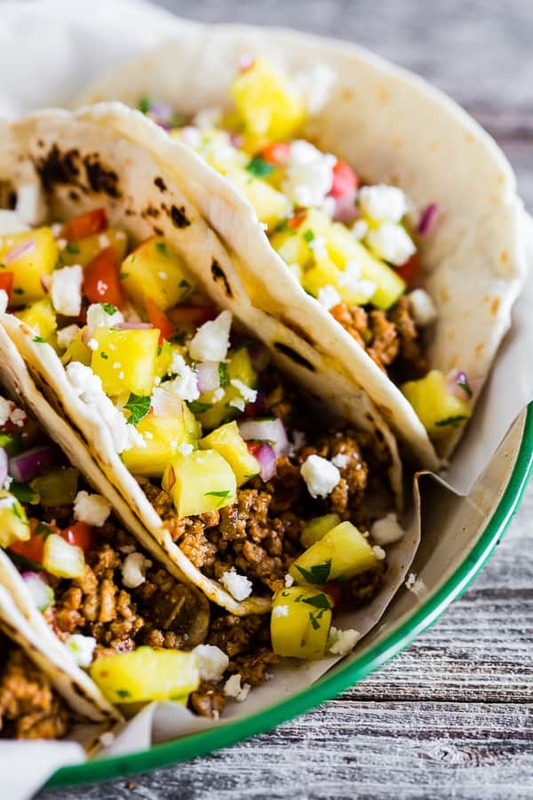 You’ll love all the flavor packed into these tacos! Ok, we all know that BUT I had to say it because this post is about tacos and I love cats. See my logic? And these tacos aren’t just your everyday normal tacos NOPE they are all about sweet and heat. Basically my favorite combination ever. Of course, if you hate heat you could tone that aspect down but I crazy love heat so I tend to go a bit overboard. 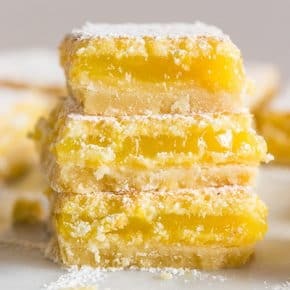 I mean, growing up my dad would make food so hot I could barely take 2 bites without needing a drink. I destined to either love or hate spicy food. Guess I fell into the love category. 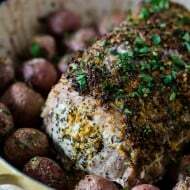 I think pork and pineapple is a perfect pairing and throughout the years on Nutmeg Nanny I have put it together a few times because it’s so good. I made pork tenderloin with pineapple salsa, a bbq Hawaiian pizza that is the perfect combo of deliciousness AND a pineapple bourbon butter glazed ham. I really really really love me some pineapple and pork. Oh, and I used flour tortillas because I’m going to finally just admit I like them better than corn. I mean, I don’t hate corn tortillas but give me a warm soft flour tortilla and I’m happy as can be. In high school, I had a friend named Rosy who lived a block away. I would be at her house several times a week and her mom made the BEST flour tortillas. 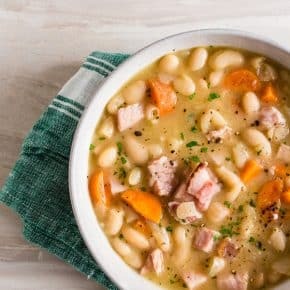 She would make them fresh, heat them up on the burner and I would top them with homemade beans or rub them down with butter and roll them up and eat it in 3 bites. 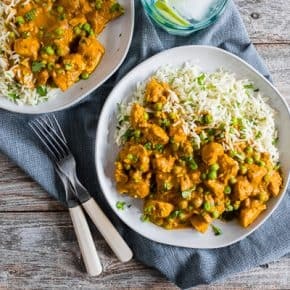 If you’re feeding little ones you can definitely cut back on the number of chipotle peppers you use (or just leave them out) to make this a little less spicy for little eaters. 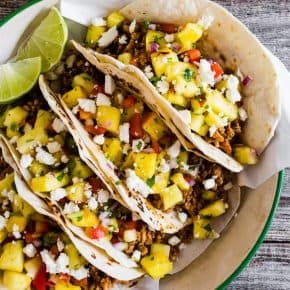 These ground pork tacos with pineapple salsa are the perfect mix of spicy and sweet. 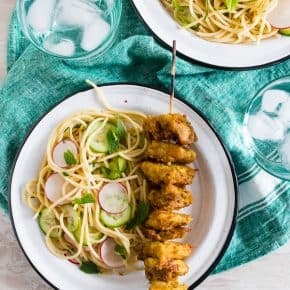 They're perfect for a quick weeknight dinner or an easy weekend meal. 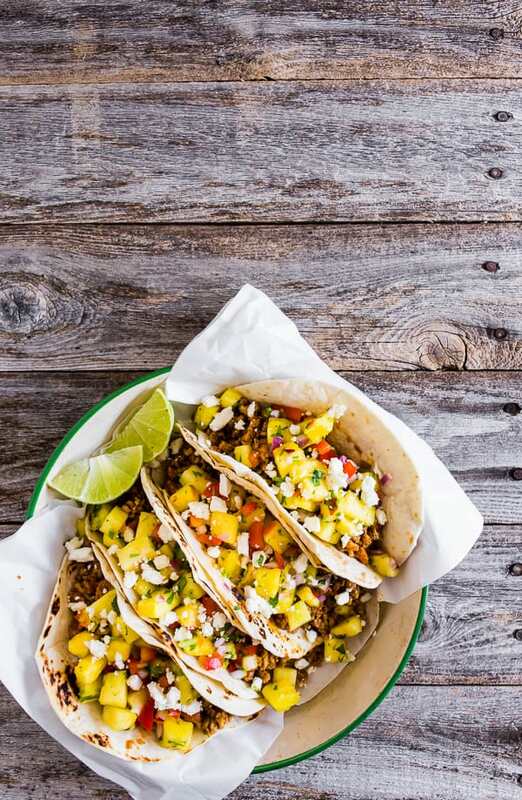 You'll love all the flavor packed into these tacos! In a 12-inch skillet add olive oil and set over medium high heat. When the oil is hot add the ground pork, garlic, diced chipotle peppers, diced green chiles, cumin, chili powder, kosher salt, smoked paprika and oregano. 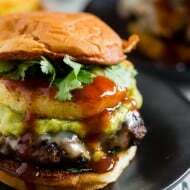 Break up the meat while it browns and mix to combine all the flavors equally. Cook until the meat is browned, about 10 minutes. Warm the flour tortillas, fill with meat and top with salsa. 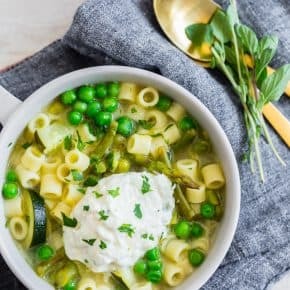 Add all ingredients to a bowl and stir to combine. 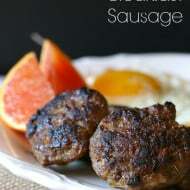 Taste and add more kosher salt if desired. 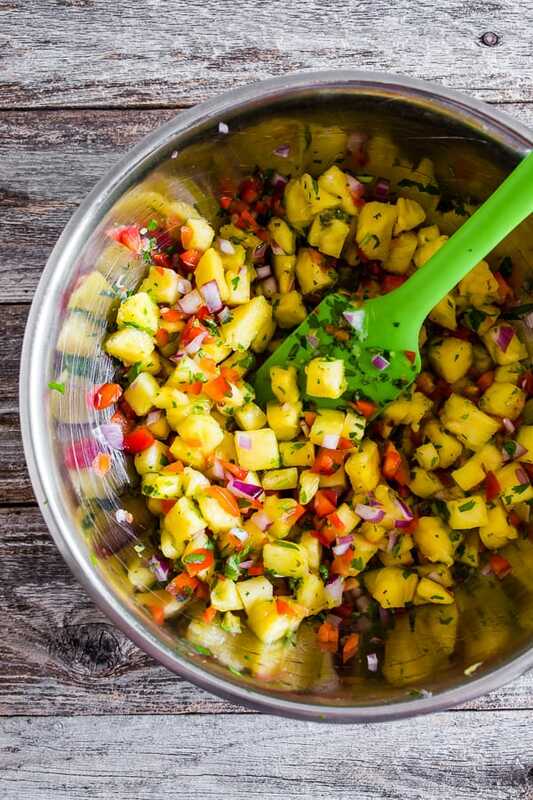 That pineapple salsa looks to die for! So yummy! Yummy! I love the pineapple salsa! This looks perfect for our next taco night! !